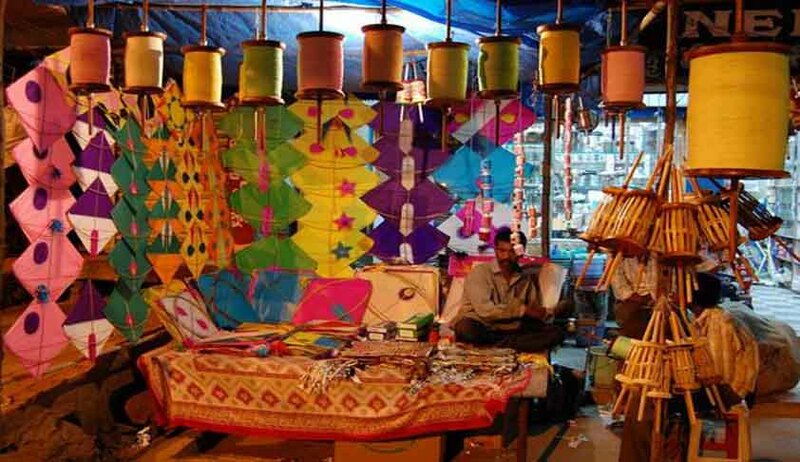 The Supreme Court has asked petitioners in a PIL which sought countrywide ban of nylon, synthetic or glass-coated strings called the “Chinese manjha” used for flying kites as it resulted in more than 50 deaths in the last two years, to approach the National Green Tribunal with their plea. “This issue involves environment and wildlife protection too. If environment protection is your concern why don’t you approach the National Green Tribunal ? They have countrywide jurisdiction too. If they do not give you any relief you can come back here. We are not shutting you our”, CJI Thakur told Tariq Adeeb the lawyer for petitioners Khalid Ashraf and Rani who said he will soon approach the green court with the petition. The petitioners whose close relatives died after their throat was slit by synthetic nylon strings also drew the court’s attention to nearly 50 deaths and several cases of injuries in Delhi, UP, Tamil Nadu, Rajasthan, Gujarat, Maharashtra, Odissa after coming in the way of such strings. “Earlier the victims of this deadly thread were mostly the ‘birds’ there were widespread news and reports of thousands of casualties of birds due to this thread but now human beings are under the threat of this deadly thread. A five year old boy was killed in Moradabad (U.P) when his throat was slit by this synthetic thread (manja) while he was on ride on a bike with his father. A five year old girl becomes the victim of this thread in Jaipur (Rajasthan) when her throat was slit by the sharp synthetic kite thread. An engineer was killed in Bareilly (U.P) when this nylon manja slashed his throat. Two boys died in Allahabad and Bareilly (U.P) when this manja get rolled to their throats”, said the PIL. “Similarly there were reports of eight deaths from Ahmadabad (Gujarat) one of which was a four year old girl whose throat was slit with this nylon synthetic thread. The figure of deaths is much higher as most of the cases remain unreported”, it said. Environment Protection Act bans use of hazardous substance which means any substance or preparation which, by reason of its chemical or physico-chemical properties or handling, is liable to cause harm to human beings, other living creatures, plant, micro-organism, property or the environment. There had been crackdown and regional bans earlier. On January 21 this year, Cuttack district administration banned sale and use of plastic and manja strings. In January 2011 Mumbai police banned sale of glass-coated strings used for flying kites. The order said any trader who violated the ban can face action, can be jailed for one month and fined Rs 200. In December 2009 Gujarat Govt prohibited use of plastic or any such synthetic material of Chinese make or other toxic materials like iron powder, glass powder etc. which is likely to cause injury to the birds as well as people and to ensure that the same is not used for kite flying. In October 2014 Allahabad High Court directed to look into the matter and formulate steps to be taken to curb incidents such as those which are highlighted in the petition. Direction was issued to initiate steps to spread awareness among of the inherent danger involved, to prevent the use of Chinese Manjha and to adopt suitable measures to prevent accidents.